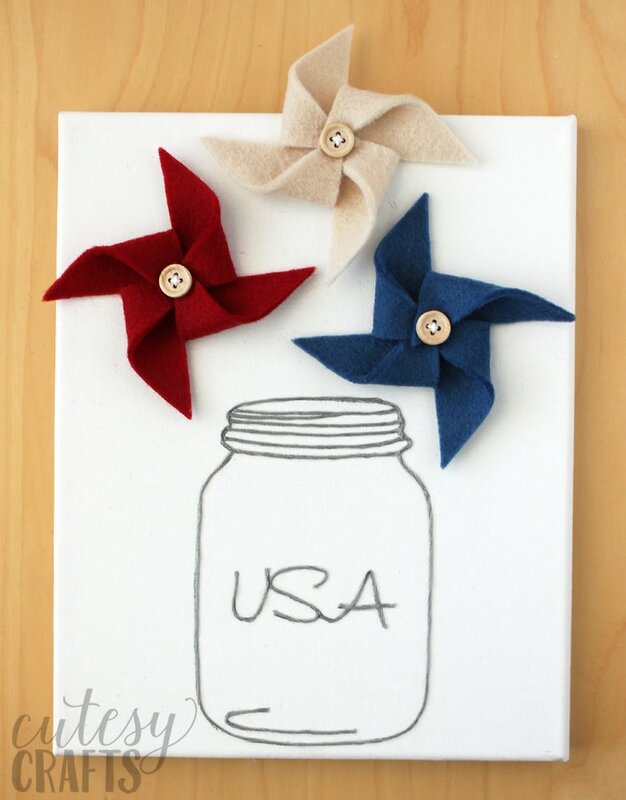 I was playing around, making some felt pinwheels, when I came up with this fun 4th of July decoration. I’ve seen a lot of mason jar art with flowers on it lately, but I thought the pinwheels would be perfect for the holiday. 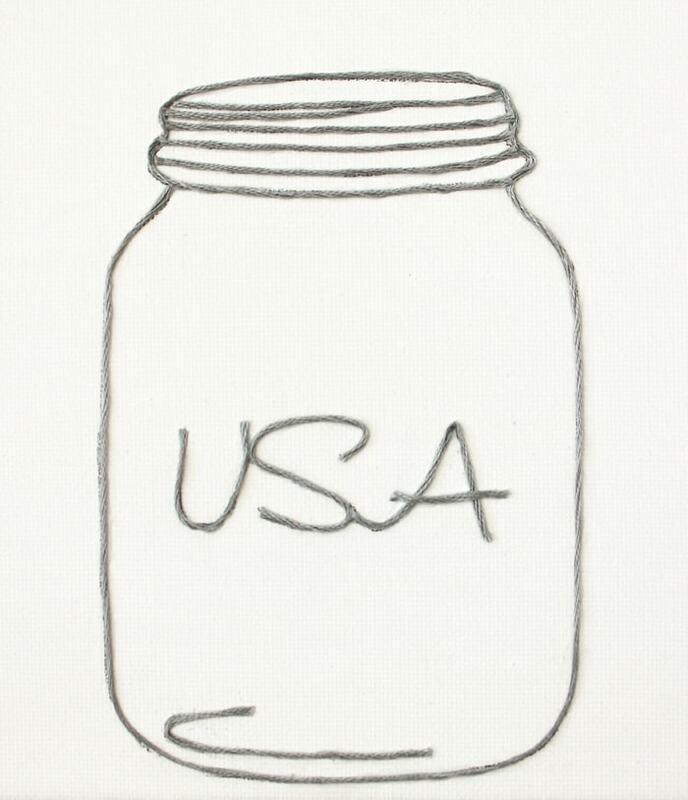 I was inspired to add “USA” to the the jar shape after seeing this one done in vinyl. The jar is just embroidery floss that I glued to a canvas, and the pinwheels are really easy to make. This would be a lot of fun to make at a craft night! 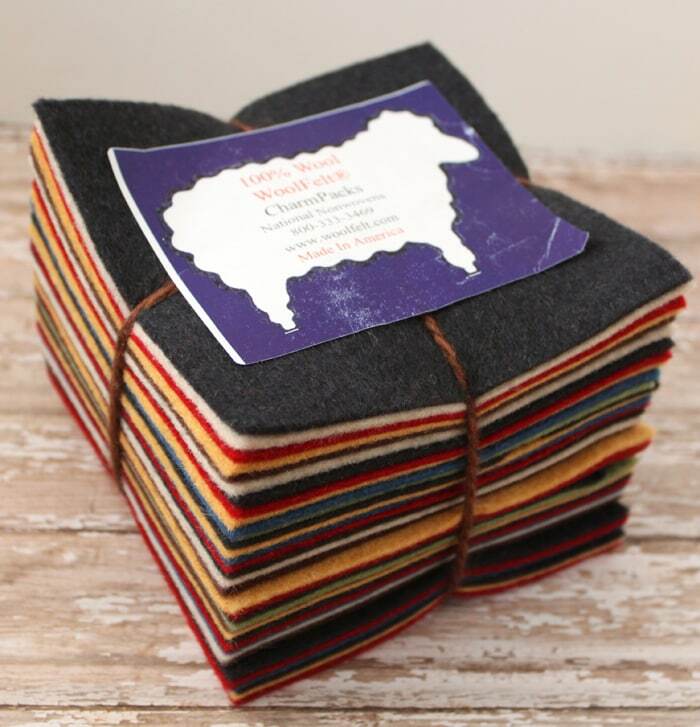 National Nonwovens sent me a charm pack of their 100% virgin wool. It includes 36 5″x5″ assorted pieces. I used colors Cottage Red 0935, Blue Bonnet 0503, and Oatmeal 1106. I really like the thickness of the virgin wool for the pinwheels. You could also use National Nonwovens’ wool/rayon blends, which I love. Using wool or a wool blend assures that you project will look great and stay looking that way longer. It’s much better quality than what you would find at the craft store. 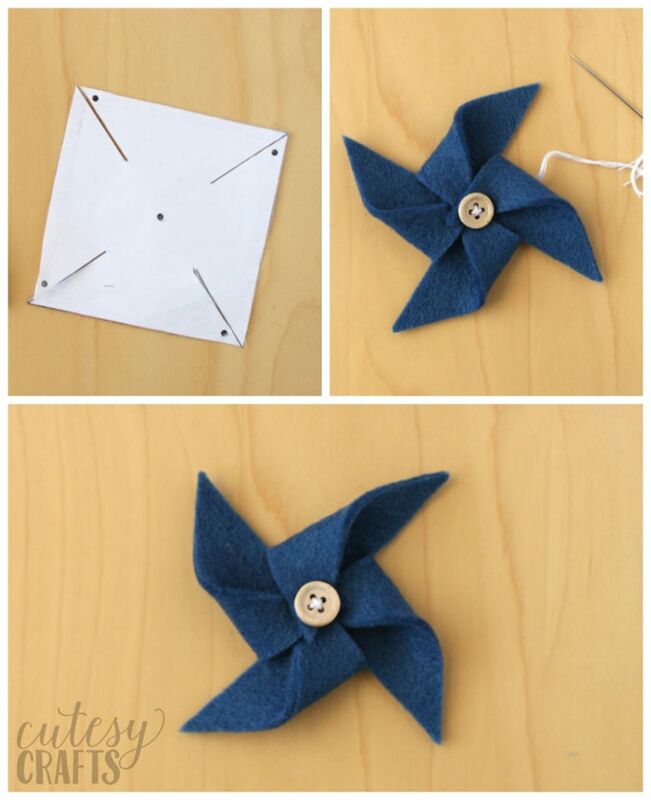 Use the pinwheel template provided to make three felt pinwheels. I chose to sew them together with embroidery floss, but you can use hot glue if you prefer. 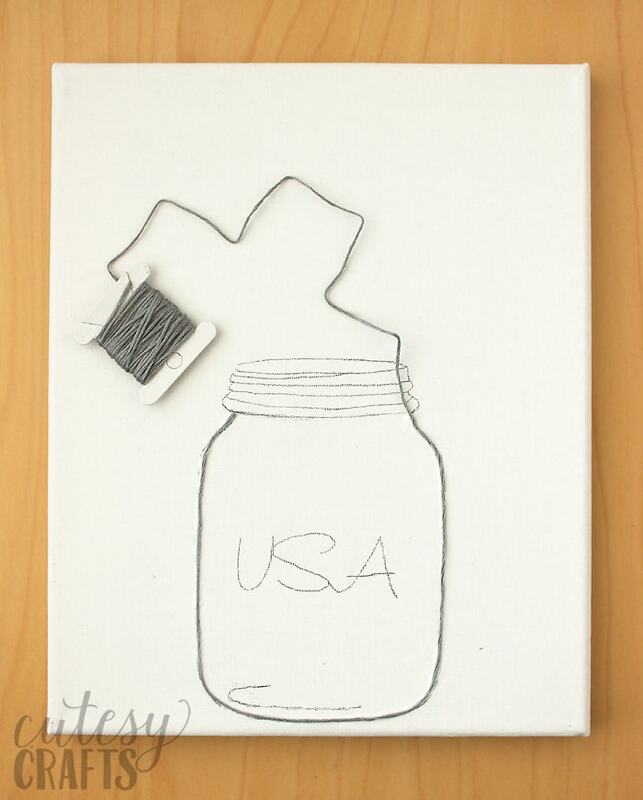 Lightly trace the mason jar template onto the canvas with a pencil. 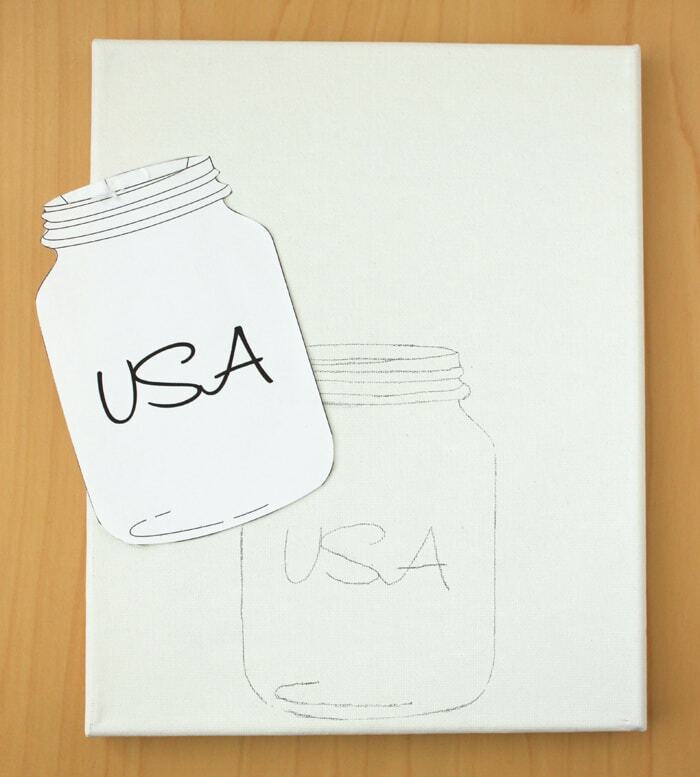 To make things easier, I first traced the outline of the jar with the template on the front of the canvas. Then I taped the pattern onto the back of the canvas, held it up to a window, and traced all of the details. Carefully squeeze a thin bead of glue over the pencil marks, working on one section at a time. Lay the embroidery floss over the glue. Once you get the string where you want it, use your fingers to wipe off as much of the excess glue as possible. It will dry clear, so don’t worry about getting all of it. It doesn’t need to be perfect, so don’t stress too much. Using a toothpick helped me position some of the more intricate parts. 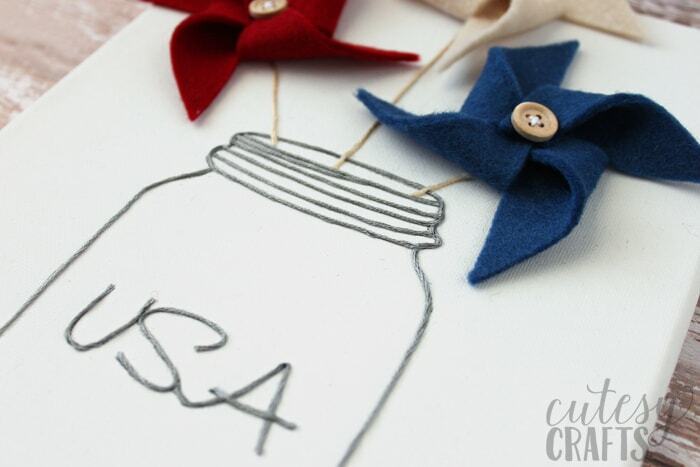 Position your pinwheels above the jar and hot glue each of them on. 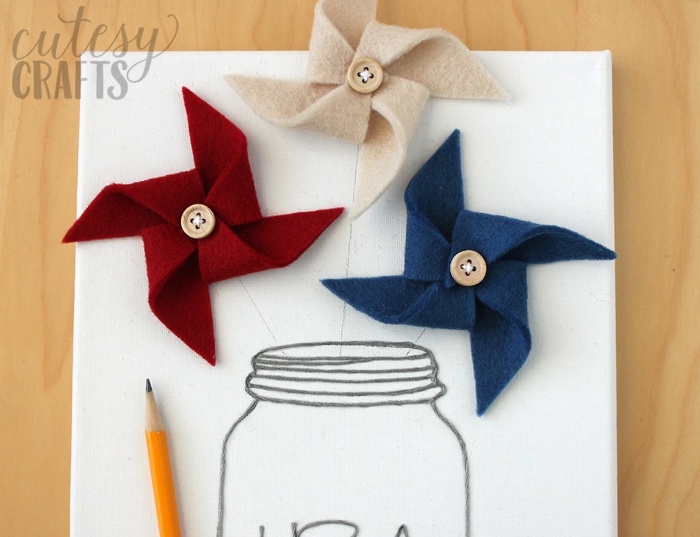 Use a ruler to mark lines from each pinwheel to the mouth of the mason jar. Make sure the angle of each line is such that the pinwheels’ sticks wouldn’t be too short going into the jar. 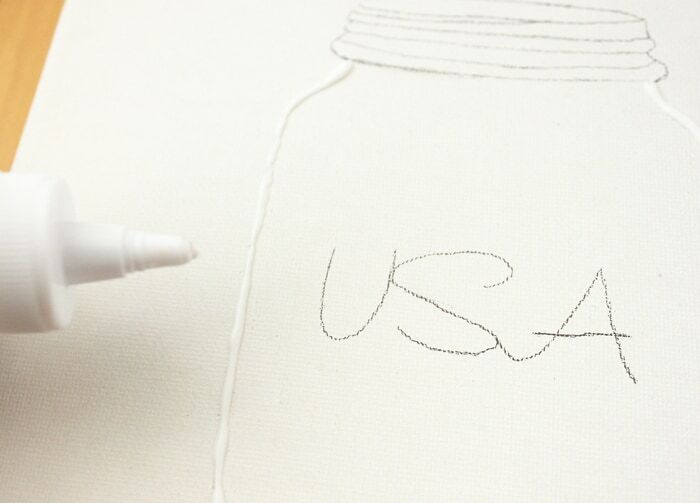 Cover each line with tan embroidery floss, just like you did for the jar. Try to make the lines nice and straight. Wait for the glue to dry, and it’s done. My house is starting to look a lot more patriotic with all of my new 4th of July decorations. I love how this one looks sitting on my piano. It would look great on a shelf or mantle too! 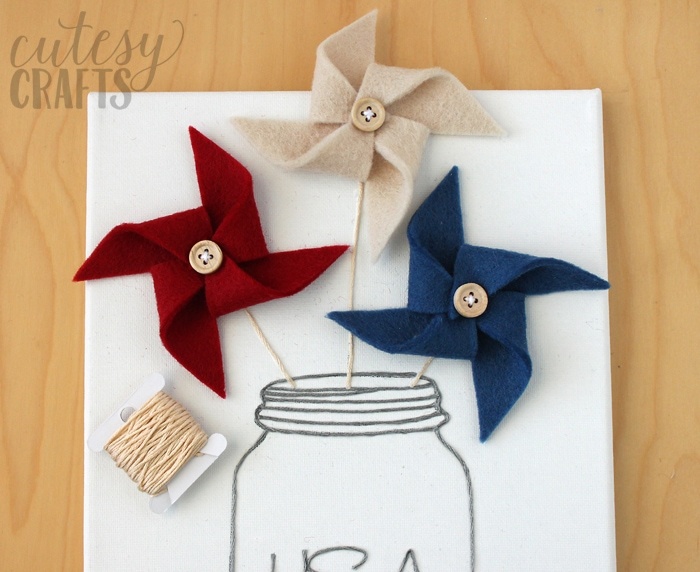 Got any other 4th of July crafting plans? I’d love to hear what you are making. Make sure to check out National Nonwovens and follow them on their Facebook page. Very, very cute and ingenious! I have got to make one of these! 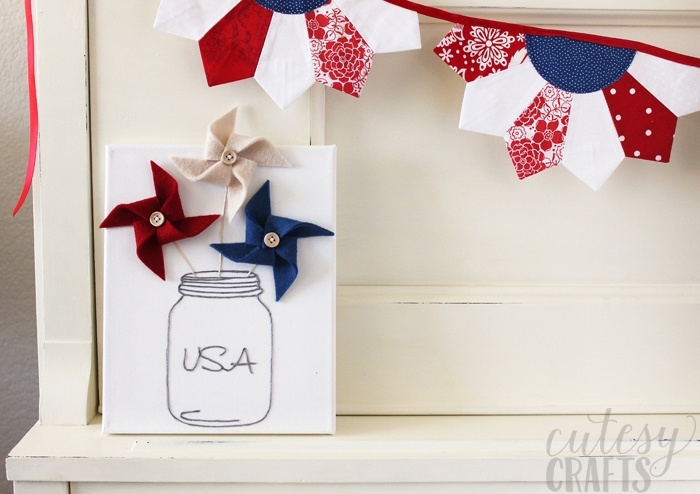 Love the pinwheel 4th of July project and want to make it. I am confused how you make the pinwheels with the square template. Don’t see any instructions about that. Help! You cut the diagonal slits that go into the square. Then you fold every other cut corner into the center. If you search online how to make a pinwheel, I’m sure you will find some examples. Hope that helps!